Is it time for an iPhone SE2? Despite openly blaming the Chinese market for its troubles, Apple has stayed pretty quiet on its performance in India. But a new report by The Economics Times today reveals that the Cupertino giant recently saw its sales drop by up to 50%. Citing data from market research firm Counterpoint Research, Apple shipped anywhere between 1.6 and 1.7 million units throughout 2018, a significant decline from the 3.2 million devices it shipped in 2017. This drop was attributed to a combination of Apple’s high pricing and tough competition from rivals – OnePlus produces flagship smartphones at a fraction of the cost. Between 2014 and 2017, the size of Apple’s Indian business had effectively doubled in size from just 1.5 million units annually to 3.2 million units. This growth pattern was more or less on par with the market growth in the region – smartphone shipments have grown from 80 million annually to 150 million units. But rather unfortunately for Apple, its sale performance last year has now effectively set it back three years. 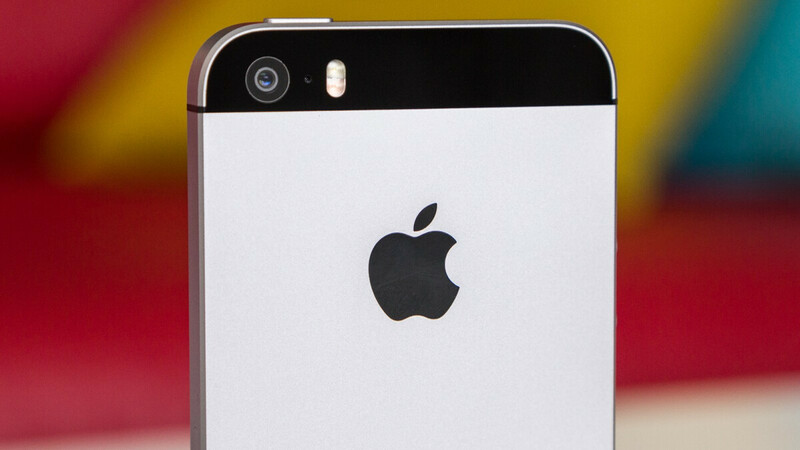 The growing market and Apple’s declining sales have also seen the Cupertino giant’s market share drop significantly. In fact, after capturing 2.3% and 2.4% in 2016 and 2017 respectively, iPhone sales now account for just 1.2% of all devices sold. At the moment, it’s unclear how Apple will choose to tackle its declining sales in India. But perhaps some sort of budget offering that sits below the iPhone XR could entice consumers, possibly some sort of iPhone SE2 which may also prove a hit amongst some of the brand’s most loyal consumers. Yeah, I think Apple priced themselves out of a lot of people. True plus they lack features that many cheaper phones do have. Why buy a 1000 dollar plus phone while a phone half of the price is equal or better in performance. Which phone half the price has iOS? Surely you can find an older iPhone (not used), with more features (like a headphone jack) and a new battery for around $500?? Look at the end of the day the Indian smartphone market grew by 15 million smartphones in 2018. That's still a significant growth overall. But this makes sense, especially since India has a number of home grown smartphone OEMs. iOS is not a feature, is a bug. I would never ever thought of other phones other than iphone. It’s the only phone with iOS. I found android a total garbage. There is no $500 dollar phone ‘equal or better’ in performance than any 2018 iphone. Heck, there isnt even a $1000 android phone with better performance than the $750 XR. BS, if any of the iPhones had great performance, then Apple would allow real multitasking, and split screen multitasking. But no Apple doesn't offer that, because their iPhones and their AX chips would overheat and throttle down. You can't even run two task at once. Yeah, great speed and processing. My @$$. Agreed, and their timing of the pricing was bad, as mentioned you can get a OnePlus for far less with specs that are just as good if not better, had they done this some time ago they may have got away with it, but not now, there are just too many great devices out there far less money. Seriously, when will you people realise that people don’t buy phones on specs? They buy phones for the ecosystem. There’s no point in talking about android phones as an alternative to iPhones because android phones don’t have iOS. That is the MOST important part of the iPhone and the one thing you cannot compromise on. It must must must be iOS. Here, I've got you, Why buy a $1,000 iPhone? If IOS is the most important thing, I'll buy a brand new iPhone 7 for $400. Unless you are one of the Ambani, Tata, Mittal, etc,. family members. The Price of the iPhone especially the newest models are just not justifiable. Apple no longer enchants as much as it used to. Who knows how to change the logo to a banana? Apple will not be leaving the Indian market anytime soon, it would be a stupid move. The average Indians make like $600 or less per month. Apple better lower their prices or they will have to leave India and China too. Of course, there's no denying that they need to lower prices. But it would be stupid of them to leave the market completely considering the growth opportunity. Also, I believe China accounts for roughly 20% of Apple's earnings, so there's absolutely no chance of them leaving that market. Apple’s biggest problem is that they always give you what they think is best for the consumers. It never felt that they ever really listened to consumers. Some of Apple’s moves that pissed Indian consumers into the Android ecosystem: - Every other OEM reduced their prices for flagships except Apple in India. - No NFC or Bluetooth file sharing. This is very important to Indians. - Apple was giving 16GB for a really long time which pushed many people into cheaper Android phones which were giving 32 or 64 gb space with expandable storage. India has customers loyal to Apple but even they are getting annoyed with the lack of innovation and high prices. India produces its own smartphones. 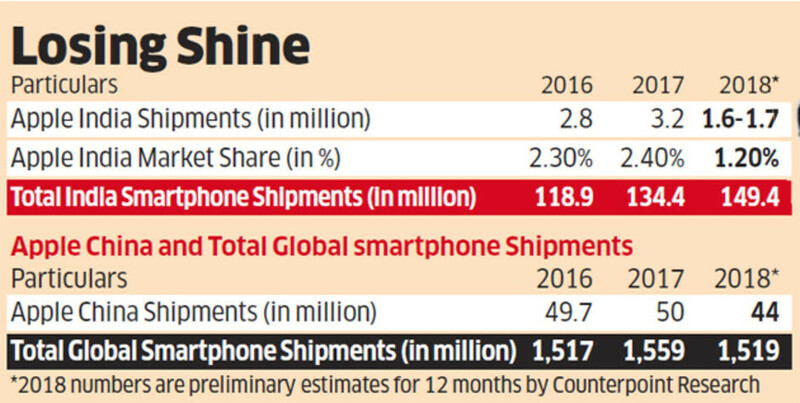 Apple and some other well known OEMs now have a tougher time competing with the many home grown Indian smartphone market. Yet India's smartphone market still grew in 2018 to almost 150 million in 2018, up from 135 million in 2017. That's a growth of 15 million smartphones from 2017. They will never admit they price it wrong.